With a Wild West theme, Frontier City is Oklahoma City's premiere amusement park. It originally opened in 1958, utilizing the western town created for the Oklahoma State Fair, and quickly became a top city attraction. Owned and operated by Six Flags Theme Parks, Inc. before being sold in early 2007 to CNL Lifestyle Properties, Frontier City is managed by former owners Kieran Burke and Gary Story. The park boasts roller-coasters, other thrill rides, children's rides, games, concerts, and more. 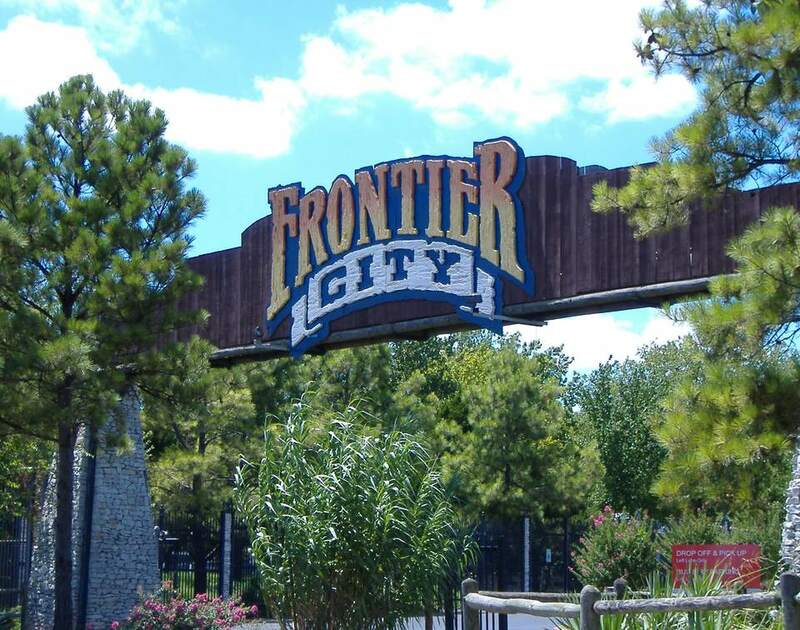 Frontier City is located in northeast Oklahoma City along I-35, between Hefner Road and NE 122 Street. After exiting I-35, get on North I-35 Service Road. The Frontier City season begins in April. Hours vary by day and time of year, so you should always call guest services at (405) 478-2140 or ​check the website to confirm. In general, beginning in June, the park is open from 10:30 a.m. to 9 p.m. on weekdays for the summer season. The park is open on Saturdays until 11 p.m., sometimes 10 p.m., but it doesn't open until noon and closes at 8 p.m. on most Sundays. A Frontier City season pass is a double park season pass, meaning it allows entrance to Frontier City and White Water Bay. Steel Lasso: Debuting in the summer of 2008, the 50th anniversary of the park, the 965-foot custom-built suspended coaster travels 30 miles per hour. 2012 brought the $1.3 million, five-story Wild West Water Works attraction, a structure with 198 entry points, 8 slides, a 1,000-gallon tipping bucket, lounging deck, changing facilities, showers, and more. Frontier City offers several food options from the burgers of the Saddlerock Cafe to Tex-Mex favorites, BBQ, pizza, and sweets. Shops sell everything from t-shirts and novelties to souvenirs and gifts. You can get a family portrait in Old West attire at Matthew Brady's Old Time Photography. Frontier City does not allow outside food and drinks, offensive clothing or smoking. All park visitors are required to wear a shirt and shoes, and there is no running on the grounds.